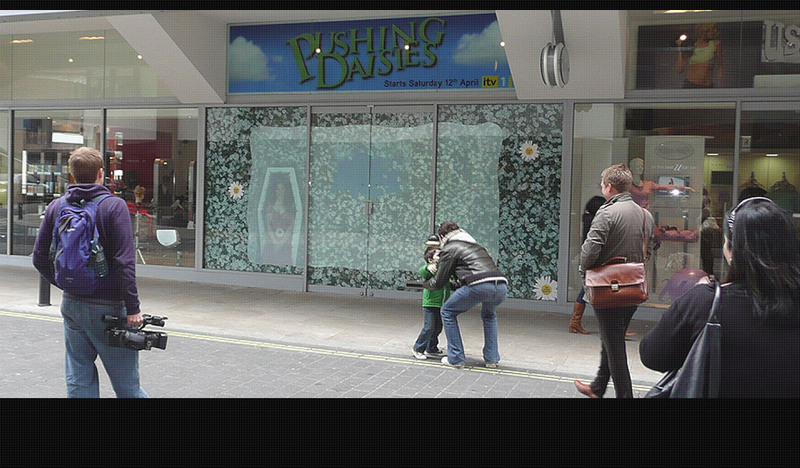 I produced this streetlevelBillboard complete with custom interactive animation to promote the ITV show Pushing Daisies. Carnaby Street passers by are invited to touch the show's star, Anna Friel, who lies sleeping. 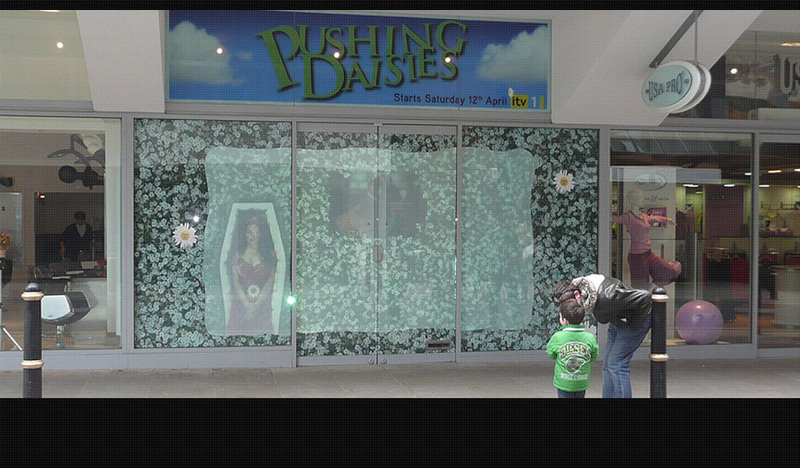 Upon doing so, she gasps and comes to life, the daisies behind her bloom and a trailer for the show appears. The animation features nearly 2000 individual frames run in sequence stop animation style to complete the effect along with a multitude of sound effects. With a 4x2 metre projection screen, sound, Bluetooth, audience data capture, through-glass interaction and scent emitters, this was the first display of its kind to feature this range of technologies.